This recipe roundup is all about celebrating the iconic apple pie. 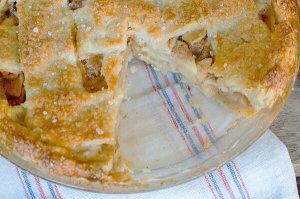 Apple pie is an American classic but it has other iterations in other countries and cultures as well. Find yourself with tons of apples because it’s apple season? Here in New Jersey, the apple season starts September 1st and goes as late as October 31st. Just love a good slice ‘o pie any time of the year? You have come to the right place! Here are 23 apple pie recipes to show you there’s more than one way to make apple pie! Diane and Kayti from Homemade Food Junkie uses coconut oil instead of Crisco which is a much healthier option! I am a fan of using coconut oil – the stuff has so many uses, especially in baking. 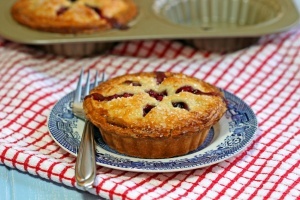 I really like their step-by-step walk through which makes baking a pie seem less daunting! I have made many apple pies over the last few years but the thought of making one can be a “to do” if you do not make them all the time or haven’t in awhile. I am also interested in the caramel flavor of this pie, especially from the wonderful story that Diane shares in her blog post. Okay, this is not a traditional “apple pie” because it uses Chakos or Chayote, a member of the gourd family. I’ve never cooked with them but I always stare at them inquisitively at the grocery store – maybe it’s time to try them out with this recipe! Although, I’m an omnivore, I am very sympathetic to people with dietary restrictions due to many reasons, for example, my husband Eric is lactose-intolerant and I have others in my family who are gluten-free. 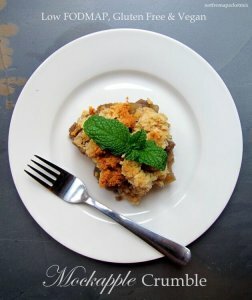 I wanted to provide something in this roundup that people with food allergies can eat because this Mockapple Crumble is Low FODMAP, Gluten Free, Dairy Free & Vegan. Natty from not from a packet mix explains very well about the low FODMAP diet and has a lot of useful information on her blog. Going to a gathering? This is the perfect recipe to feed a crowd! This Apple Slab Pie with Spiced Glaze from Sabrina of Dinner then Dessert looks so pretty and appetizing. Apple pie on the go anyone? 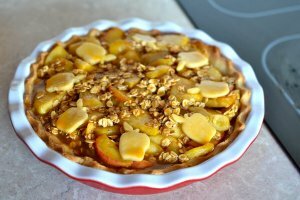 Here’s an individualized spin on the apple pie from Deb of Cooking on the Front Burners. 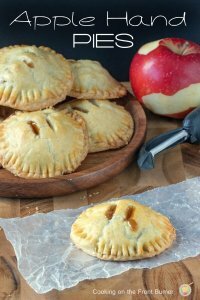 I can see these Apple Hand Pies in a lunch box, as an afternoon (or anytime for that matter) treat or a yummy dessert (topped with a little vanilla ice cream??). Raw food enthusiasts, look here! 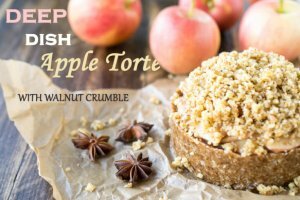 Crystal from Raw Revive shared this beautiful torte that is intentionally meant to look like an apple pie. I feel like it is a pie just in a different form: pie as torte! 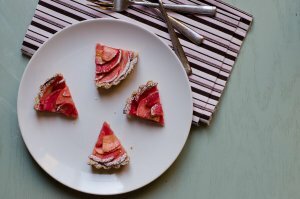 It’s really unique and beautiful and the photos where it’s sliced into really won me over with it’s “pie-ness.” Check out her other impressive raw food (and healthy) recipes on her food blog! I have a sweet spot for all things Italian (and French too!) when I saw this apple pie I knew I had to include it with this apple pie roundup. Rosemary from An Italian in my Kitchen also has a Apple Pie Breakfast Turnover recipe which looks so delicious and doable. You’ve heard of an open-faced sandwich right? Well this is the Apple Pie version! 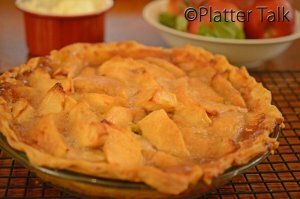 Dan from Platter Talk ditches the top crust and makes this simple and scrumptious apple pie. I could see this with heaps of vanilla ice cream, couldn’t you? This gorgeous Ambrosia Apple Crumble from Kelly of The Pretty Bee looks like the kind of pastry I would want to bring to a gathering of any kind. 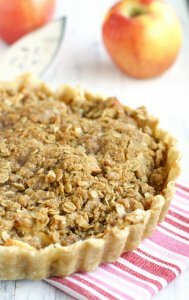 It’s a nice alternative to a traditional apple pie with a top and bottom crust, this “tart” version has all the fixings to satisfy any apple pie craving! 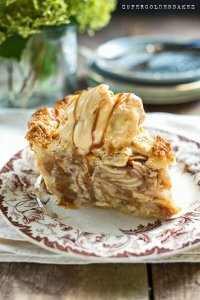 I know, I know, another Salted Caramel Apple pie, but just LOOK at this classic “American mile” high apple pie, there is something special going on here! I expect nothing less than amazing from Lucy of Supergolden Bakes, she’s a real talent. She outlines very clear instructions in the recipe and even has a step-by-step photo collage which I love. Her photos and food styling are amazing to boot – what’s not to love? Yes! This is what I have been looking for! I love something that is so simple and not fussy that it almost brings you back in time…this apple tart from imagelicious does that for me. 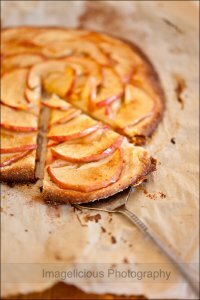 Those crispy pastry edges and the apple slices with the red skin left on <swoon>. Jo from Every Nook and Cranny shared this splendid Clementine Apple Tart. I think the addition of citrus is a fresh spin on apple pie and I love the cute apple cutouts she added to her pie. Loving the photos in her post…they make you feel like you are right there baking along side her in her kitchen. 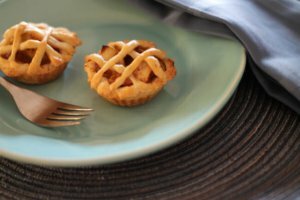 Apple Berry Mini Pies – YEAH! This is what pie-eating is all about! Look at that red-berry-apple-goodness running out of those holes in the top crust which is sprinkled with sparkling sugar! 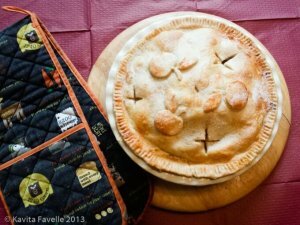 Kevin also has a Rhubarb Apple Hand Pie recipe that looks crazy-amazing too! It’s just. so. pretty. Sarah from Daisy at Home shares this beautiful PINK apple tart and before it’s cut – it looks like a rose <sigh>. I love the romance. 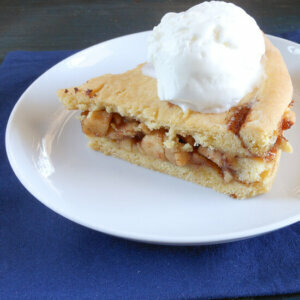 I pinned that image to my Apple Dessert Recipes board along with her Apple Pear Tart recipe. I wanted to include this one from Richa of My Food Story because it’s so clever. 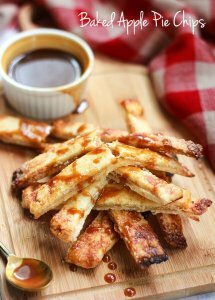 Pieces of apple pie that you can dip into a sauce – genius! Apple pie in miniature, so cute and delicious! Callie from Flour and Fancy came up with an excellent alternative to the traditional apple pie. And an FYI to pumpkin lovers, she also had some yummy pumpkin recipes (Pumpkin Spiced Bread and Pumpkin Flax Granola) which I pinned to my Pumpkin Everything board. These apples have been turned into sweet roses. Wouldn’t this make a great entertaining idea? These Salted Caramel Apple Tartlets from Platings and Pairings are so gorgeous. 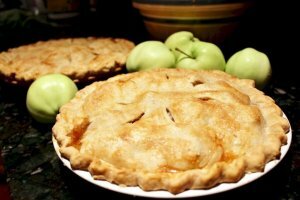 If you are making an apple pie you should have some apple pie spice on hand! 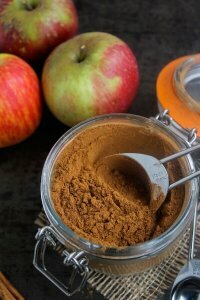 Here’s a great Apple Pie Spice DIY from A Saucy Kitchen. How about apple pie in bar form? Tina from Tina’s Cookings shares her Grandma’s Apple Pie recipe, and we thank her for it! I love the cutouts on this pretty classic apple pie. Imagine being the hero taking this lovely pie from kavey eats to your next dinner or holiday gathering. This Brown Bag Apple Pie is easy, peasy, lemon, squeezy (does anyone say that anymore?). Check out the awesome video on the press page of Suitcase Foodist. This is the pie version of apple crumble, oh yum! If you are a shortbread lover, this pie is for you because the crust is shortbread not to mention it combines a few of her delicious recipes. I am a shortbread fan, so this pie gets my vote. Heather from My Sweet Mission also has an Brown Paper Bag Apple Pie which I pinned to my Apple Dessert Recipes Pinterest Board. 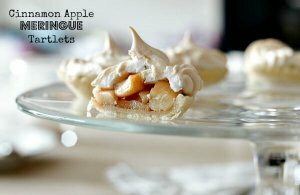 Here’s a touch of class in the form of meringue topped cinnamon apple tartlets from Nazima and Pierre of Franglais Kitchen. 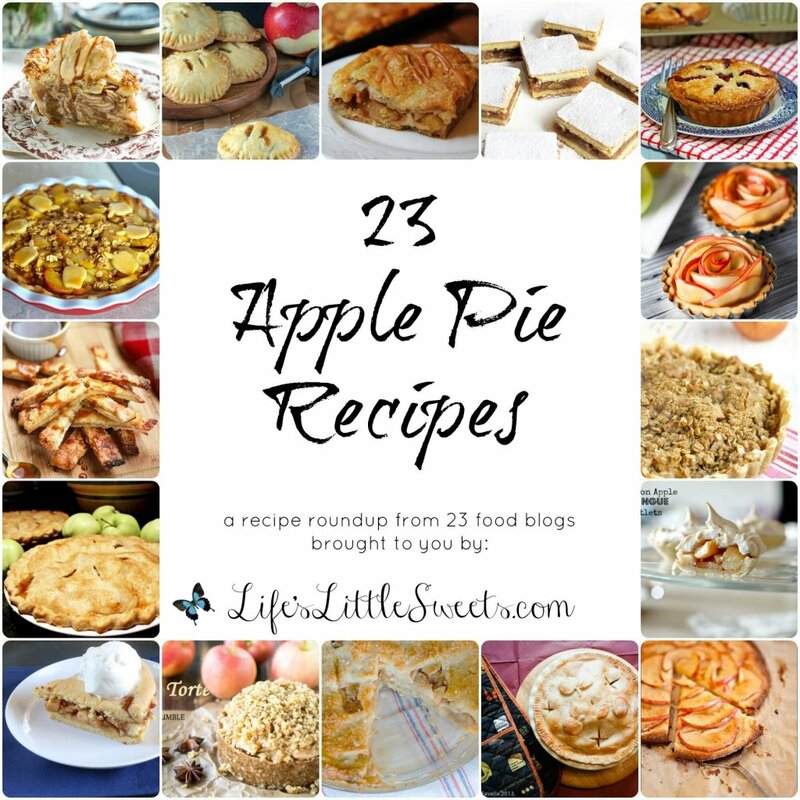 Follow Life’s Little Sweets’s board Apple Dessert Recipes on Pinterest. Note: All photos and links in this post have been obtained with prior permission from their owners. I want to thank these talented bloggers for sharing their amazing recipes with me to bring to you. THANK YOU! Wow, sooo much temptation in apple pie form! Fantastic list! Thank you very much and thank you for reading! This list is so perfect! 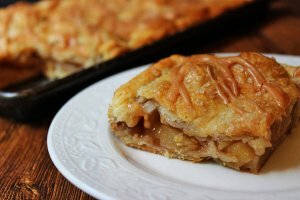 My husband is an apple pie addict, and I love mixing it up with new ways to bake them. 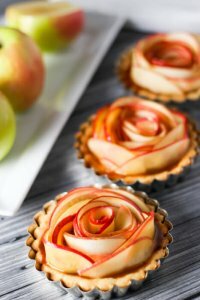 And thank you for including my Apple Pear Tartlets recipe. I’m very flattered that you included it! Hi Callie, there’s something for everyone in this apple pie roundup. Thank you for visiting and sharing your amazing recipe! Hi Sara, what a great list and thanks for including my Italian Apple Pie (and Apple Pie Breakfast Turnovers). Hello Rosemary, thank you for sharing your lovely recipe! Hi Sara, thanks so much for including my mockapple crumble recipe. After looking through this list, I think I need to make a salted caramel mockapple rosette hand pie tart. These all look and sound fantastic! Thanks for sharing them with us. Hi Nataliya, yes, I am so glad that you did share your recipe with me for this roundup, I like everyone to be able to enjoy something sweet! Let me know if you do make a salted caramel mockapple rosette hand pie tart, haha that would be amazing! Thank you for visiting! 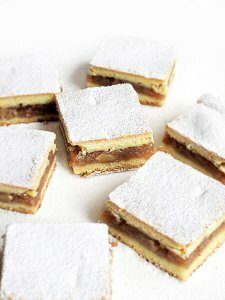 Hi Tina, you are so welcome, thank you for sharing your recipe and visiting my blog! Thank you for including me in this awesome round up! I’m in the mood for pie now! Hi Kelly, my pleasure, thank you for sharing it! OMG what a great round up, now I must go get a tone of apples to try these delicious recipes! Hi Katalina, thank you so much and thank you for visiting! So many great recipes! I can’t wait to try some of these beauties this season! Hi Sarah, I am so glad that you like the recipes, thank you for visiting! I am so glad you like it; thank you for visiting Nagi!!! So many great ideas! Thanks for including my pie in this awesome round up! AN excellent compilation. Loved it. Reminds me of many moons ago when I used to make apple pies in Goa. I used to have some spare pineapple wine which I used to make the sour and tart end of the continuum. Hopefully I can try making some of these beauties in here. Love the variety of apple pies you’ve included. Many thanks for sharing my autumn harvest pie! You are so welcome! Thank you for visiting! Oh I LOVE apple recipes, this is such an amazing collection of them! Thanks so much for linking up with us this week for Fabulous Foodie Fridays, I hope you have a great weekend! Hi Lauren, I am so glad that you like the roundup, thank you! Hi Sara. 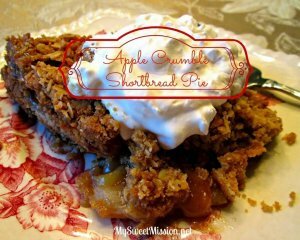 Thank you so much for including my Apple Crumble Shortbread Pie in your delicious Apple Pie Roundup! You’re so sweet and I really appreciate you! Hi Heather! you are so welcome! It was a pleasure and thank you for letting me include it here and share it with my readers!